2010 Acmella oleracea (syn. Spilanthes oleracea) Toothache Plant, Paracress Edible leaves cause unique feeling in the mouth. Starozagorski Kamush - Most popular leek variety in Bulgaria. With no special care stalk easily grows to 65+ / 25+ cm./in. 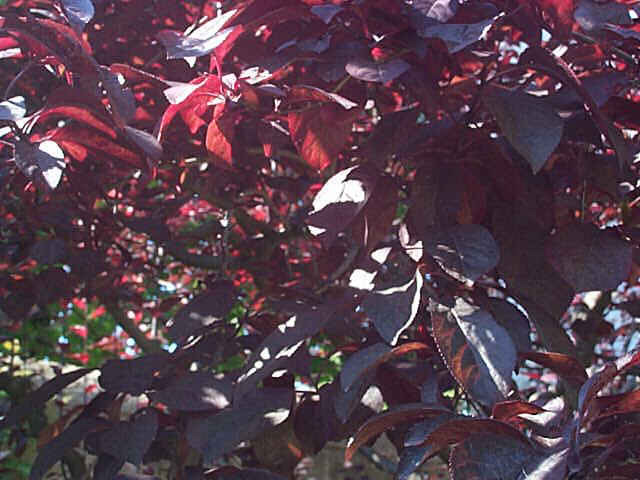 (leaves excluded) and about 5 / 2 cm./in. thick. Excellent leek taste. Very old heirloom turned in commerce. 2012 Apios americana American Groundnut Only tubers. commerc. Apium graveolens rapaceum Celeriac Spice; Root diameter up to 13 cm. OUT Basella alba Indian/Malabar Spinach Leaf vegetable. 2005 Brassica juncea Mustard Leaf vegetable. 2010 Campanula rapunculus Rampion Root vegetable. 10+ Bulgarian varieties. Commercial seeds. Mostly non-pungent (sweet non-bell) annuums. images and descriptions on request. fruit weight: up to 12 g.
Taste: ripe fruit - too astringent to be eaten. fruit weight: up to 10 g.
Taste: ripe fruit - astringent, but can be eaten. fruit weight: up to 3 g.
This produces the earliest fruits (followed by #1; next is #3 (the wild) and last #2 - about month after #4). 2012 Crataegus pentagyna Shrub / small tree with edible fruit. 2011 Cucumis anguria Gherkin, West Indian Gherkin Vegetable. 2011 Cucumis ficifoilus I was assured it's Cucumis ficifoilus. Similar to C. anguria. 2011 Cucumis metuliferus Kiwano, African Horned Cucumber Tastes like a mix of lemon and cucumber (refreshing). OUT Cyclanthera pedata Achoccha, Korila Vegetable. The taste is beany-cucumber like. OUT Cyperus esculentus var. sativus Chufa, Tigernut Excellent hazelnut-like flavor. Seedless, will send dried tubers (soak and sow). 2011 Eruca sativa Arugula, Rocket, Rocquette, Rocket lettuce Salad plant. Special trade - plant Fragaria viridis Green strawberry Strawberry with green fruit. OUT Geranium macrorrhizum Thick-rooted cranesbill An ornamental plant with very fragrant leaves. Prefer semi shade. OUT Helleborus odorus Hellebore, Bear-s-foot An ornamental plant. As ornamental is rare, but I think that is quite attractive. OUT Hippophae rhamnoides Sea Buckthorn For description of some (mostly old) Russian cultivars - CLICK HERE. syn. Tetragonolobus purpureus Asparagus pea Vegetable - Considered to be a gourmet food, but for me when RAW tastes like a grass. 2008 Malva verticillata 'Crispa' Chinese Mallow Edible leaves. 2012 Melothria scabra Melothria Edible small fruits that looks like watermelons. Cucumber-like taste. 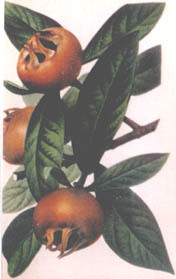 2011 Mespilus germanica Medlar Fruit-tree - small fruited form (excellent taste), has superior taste than the large fruited form. Morus alba 'alba' White mulberry Fruit-tree (common form - has white fruits). Taste: excellent - very sweet - NOT insipid. Morus alba 'Pendula' Weeping White Mulberry A very attractive ornamental Fruit-tree. A weeping form - up to 4-5m. (13-16 ft.) high and 5m. (15 ft.) wide. Fruit - black. 2012 Origanum vulgare hirtum Greek Oregano Great aroma and flavour. Physalis ixocarpa Tomatillo, Mexican Husk Tomato Vegetable. 2012 #1 - Large fruited (pale yellow when ripe). OUT #2 - Medium fruited (purple when ripe). Physalis pruinosa / Physalis pubescens Strawberry tomato / Ground cherry Fruit. A very attractive ornamental Fruit-tree. The average yield varies from 50 to over 100 kg. (some forms) per tree. Has aromatic fruits (up to 3.5cm. in diameter (1.34in.)). When fruit is overripe taste is very good - before then is astringent. OUT Ruscus aculeatus var. aculeatus Butcher's broom Evergreen ornamental plant. Height: up to 60cm. (2ft.). OUT Ruscus hypoglossum Evergreen ornamental plant. Height: up to 60cm. (2ft.). OUT Sium sisarum Skirret, Crummock Edible roots. NOTE: Most of these varieties are not grown under isolation, so off-types are possible. La Patraque - Purple skin and flesh. Non-uniform shape and size. Used for puree. Good taste. Big plant. Late. Negresse - Purple skin and flesh. Non-uniform shape and size. Used for frying. Good taste. Big plant. Late. Vitelotte Noire - Purple skin and flesh. Non-uniform shape and size. Salad type. Good taste. Big plant, stems can grow up to 1.8 m. / 6 ft. Late. 2012 Tragopogon porrifolius Salsify Root vegetable. Fruit trees (scions): only really good varieties. - Unusual (and tasty) edible plants (especially fruits), unusual culinary herbs, and for very unusual (and tasty) cultivars of usual species.